Use the form below to contact accommodation BCN FR 3P SANT PERE II directly. BCN FR 3P SANT PERE II is the perfect base for any visit to Barcelona. 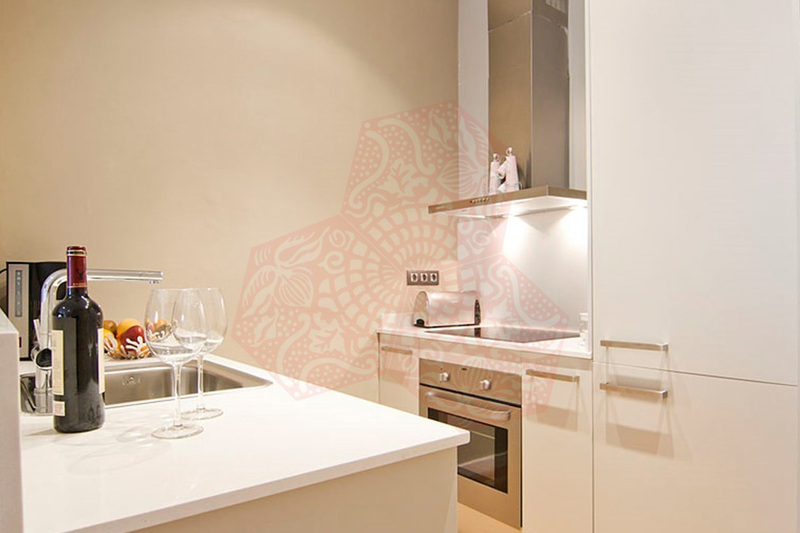 This building has been completely renovated with style and comfort in mind. 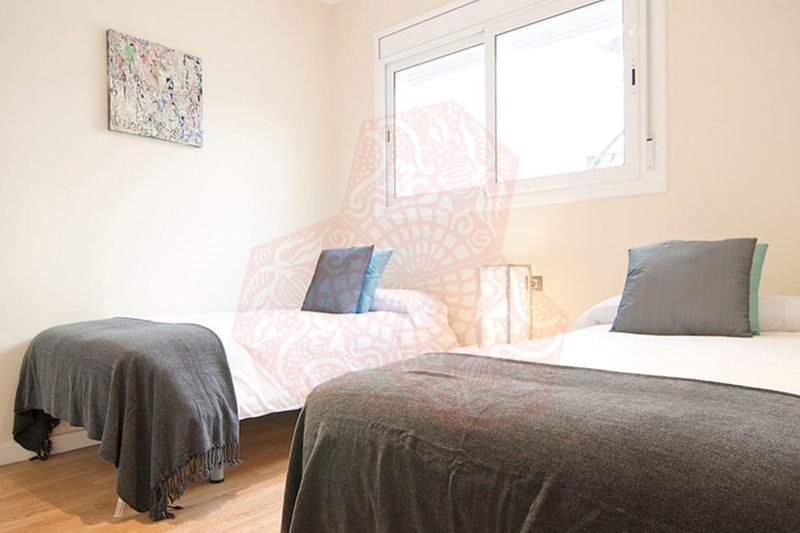 Not only will you appreciate this wonderful apartment, you can also benefit from being in the heart of this vibrant city with everything you could possibly need within a very short walk. 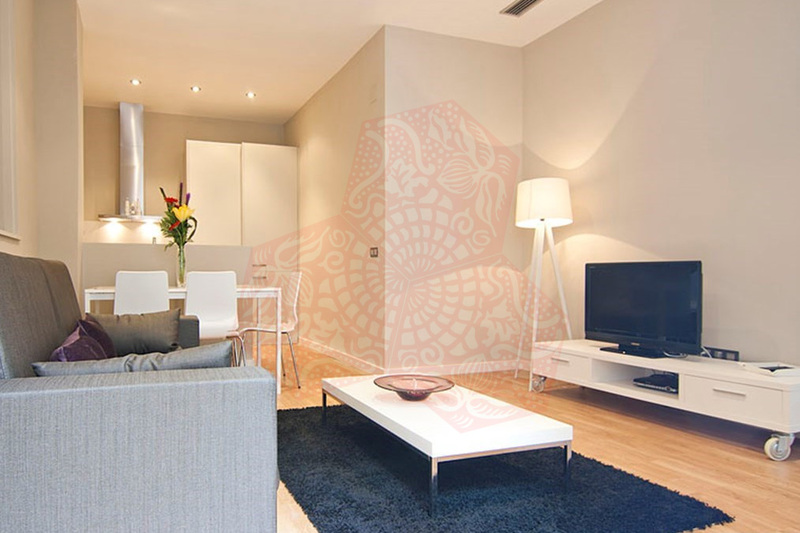 This lovely two bedroom apartment will ensure that your stay in Barcelona is a comfortable and relaxing one. 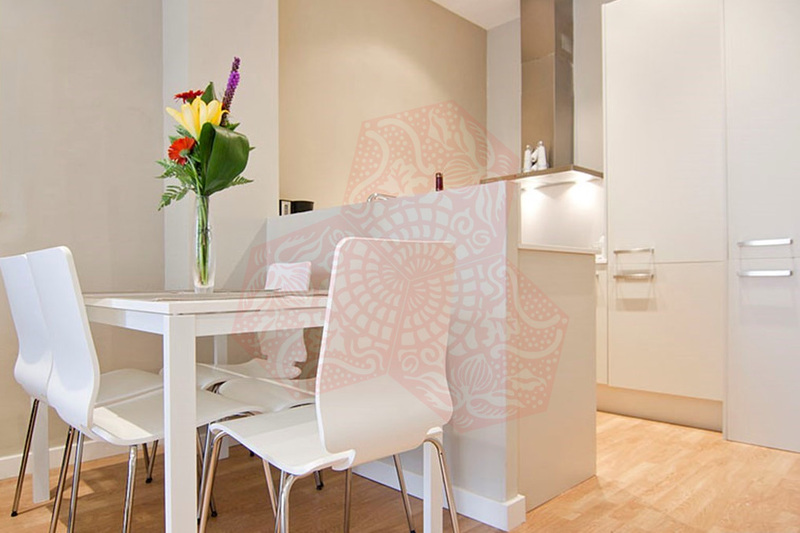 Recently refurbished, the apartment has a modern and fresh feel. Please note that this is an interior apartment. 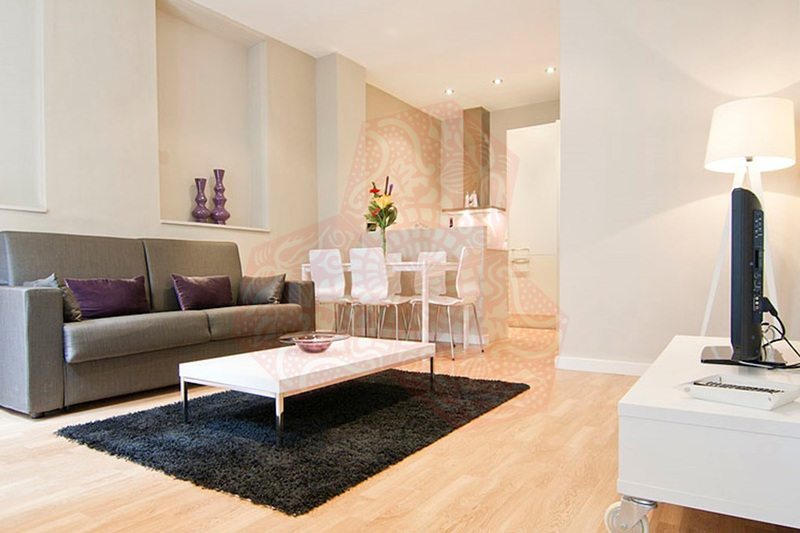 The open plan living/dining and kitchen area has a comfortable sofa where you can kick back and relax after a busy day. 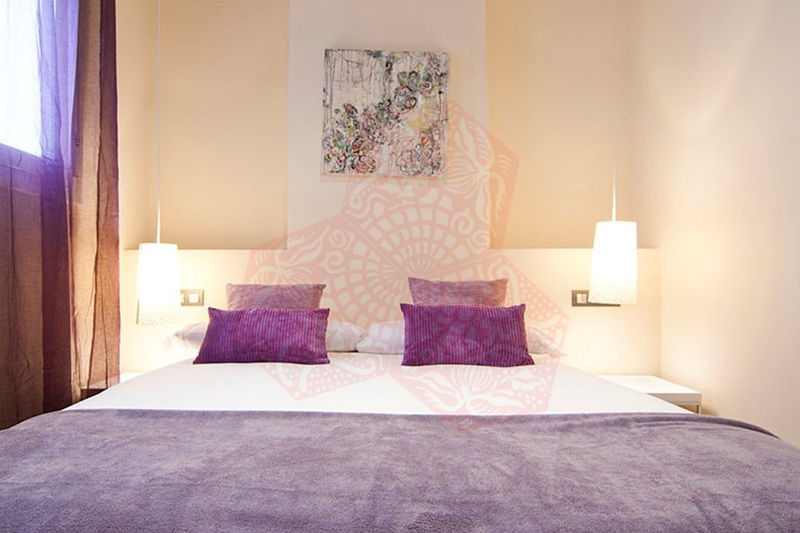 The large flat screen TV and DVD can help you relax, though this may not be necessary if you take full advantage of the Barcelona nightlife! 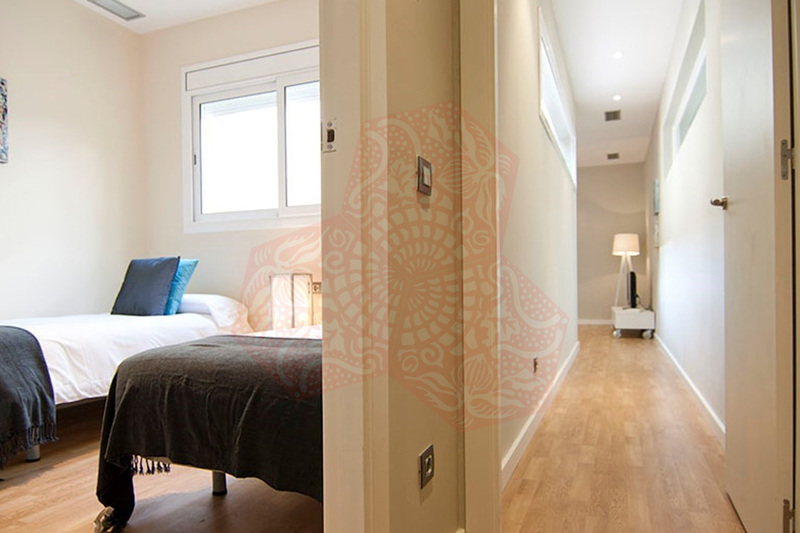 In this area and throughout the apartment you will find light wooden flooring and a bright, fresh feel. 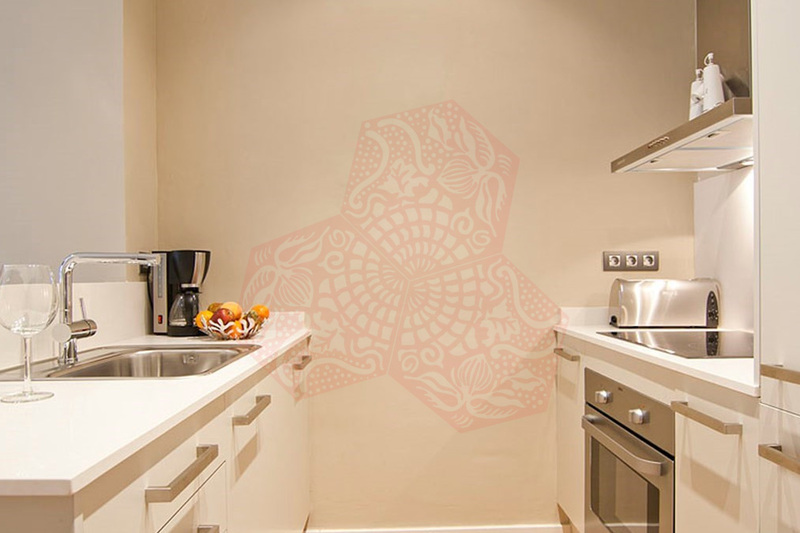 The kitchen comes completely equipped with everything from coffee-maker, juicer and toaster to dishwasher, washing machine and dryer. With a local market a few minutes away, you will definately be tempted to try out your culinary skills. 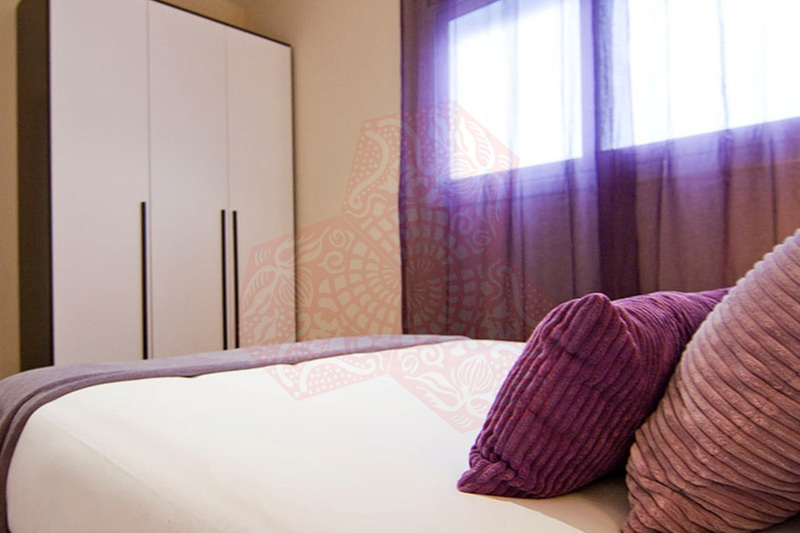 Both bedrooms come with ample wardrobe space. The master bedroom has a double bed and the second bedroom has two single beds. There is also a double sofa bed in the living room if extra sleeping room is required. 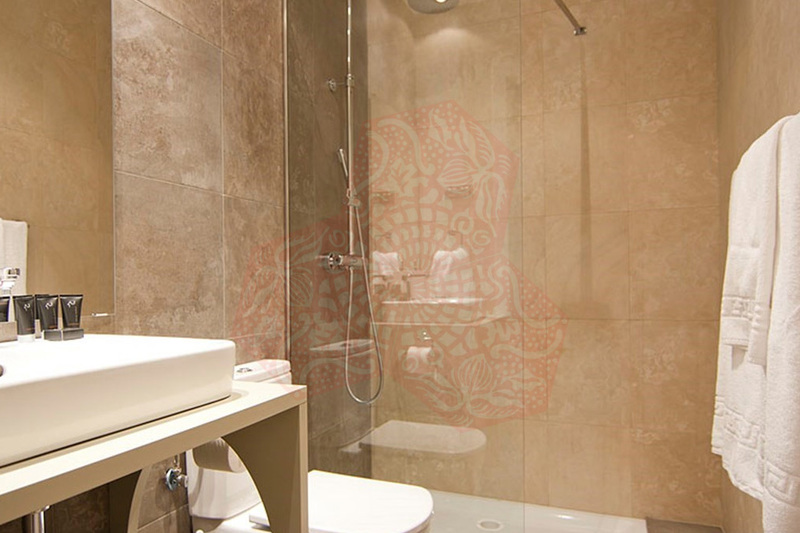 The full bathroom is modern and elegant in style and comes with shower, washbasin and toilet. Fresh towels and linens are available on arrival. The apartment comes complete with central A/C and heating and WiFi internet. 0 to 3-year children are free of charge. 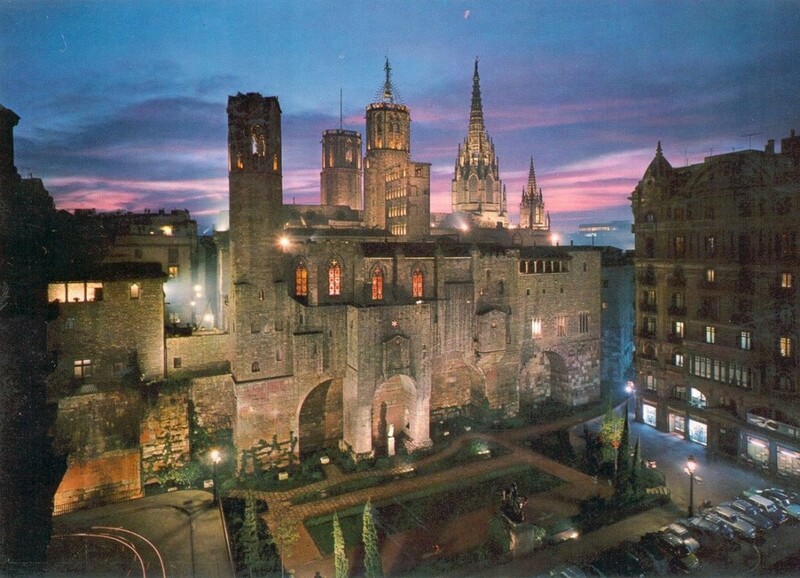 The beautiful neighbourhood known as the Gothic Quarter (Barri Gòtic) is so called because it used to be the Roman village and therefore has some remnants of its glorious past. However these days due to the constant modernization its very possible to spot an ancient building right next to one built in the late 90s. It is this mix of old and new that brings people from across the globe to visit the Gothic Quarter in Barcelona. The narrow, winding streets create quite a labyrinth and means that it may take a while to get your bearings. We recommend you always look up and around or you may just miss some of the best bits this area has to offer. However you wont be able to miss one of the stand out attractions: the huge Cathedral which has a stunning courtyard full of plants and oddly, geese. The Barri Gòtic has many peaceful squares (Plaças) where you can sit back and enjoy your surroundings. You will be spoilt for choice of restaurants and bars, especially around Plaça Reial which is always a hive of activity day and night. The night life in the Gothic Quarter is lively to say the least and you will always find somewhere to have a drink or, if your legs are not too tired from exploring the city, a bit of a dance. Calle Ferran, which is just to the side of Plaça Reial leading up to the imposing government buildings of Plaça Sant Jaume, is also good for bars and restaurants. From the more commercial area of Calle Portal de L’Angel to all the little boutiques on Calle Avinyo the Gothic Quarter is a shopoholics paradise. Make sure you walk around to experience all you can, the Gothic Quarter is the perfect go to are for that afternoon stroll whilst walking off your Menu del Dia. There are metro stops on both sides of the Gothic Quarter, there are 3 on Las Ramblas which runs up one side of the area, and on the other is Jaume 1. 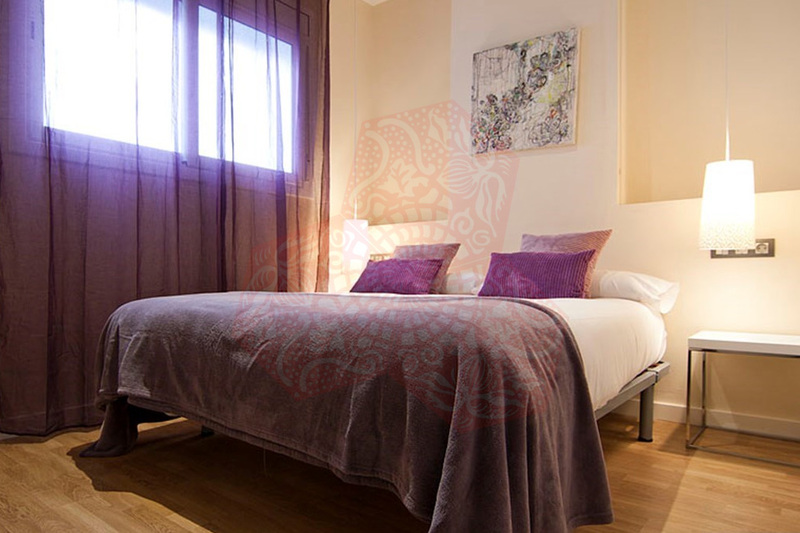 However you are in the centre of the city and many of Barcelona’s attractions are just a walk away.